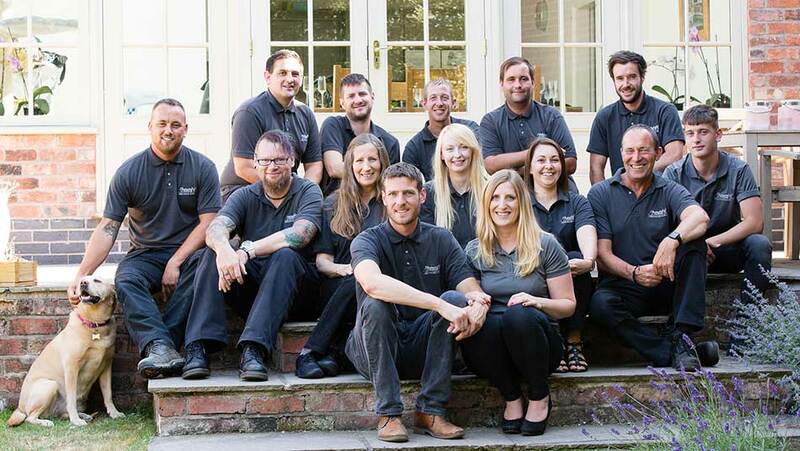 We are a rapidly growing company, owned and managed by Simon and Eve Davies, and run by the dedicated staff in the experienced installation and online shop departments. As a team of pet owners and animal lovers, we understand pets and their owners' needs. We have spent six years optimising our patented products to make a unique offering of the best combination of quality and value for the discerning pet owner. Our ethos is simple: a happy pet equals a happy owner. Understanding the behaviour of our pets is a good start to developing products that make pets feel closer to their natural habitat. ProtectaPet wants every pet to access our vision of a safe territory. Pets differ from each other as much as people and pets of the same species have different needs and no two cats or dogs are identical, they all have a unique personality. Finally, we understand our business partners by working with them and listening to them: we believe in quality products at competitive prices and we make our service and support offering simple. After losing our cat Lola in a road traffic accident, I decided to develop a system to allow our cats to experience the outdoors without many of the risks associated with it. I installed a fencing system at home and quickly realised that there were plenty of additional benefits to using a cat boundary around the periphery of the garden. We are now keen to provide this service to other animal lovers who are looking to maximise the safety of their cat, or for those who are looking to turn their garden into a safehaven from cats for wildlife such as birds and voles. We will strive to offer a quality service tailored to your individual needs.